Tackles problematic skin head on by stimulating tissue healing with lymphatic drainage and LED light therapy. Featuring Hydro Mask and O2 Infusion with Skinbreeze Blemish Fix serum, this soothing treatment neutralises bacteria and calms inflammation and redness. A bespoke facial designed to combat all signs of ageing. Our unique Orbital Microdermabrasion, LED light therapy and O2 infusion rejuvenate, hydrate and plump out deep lines and wrinkles. O3 Ozone helps to refine and tighten the skin encouraging the elimination of bacteria, toxins and under eye dark circles leaving a plumped and glowing complexion. Customised techniques using Orbital Microdermabrasion, O3 Ozone and O2 Infusion. O3 Ozone will tighten and lift the eye area whilst the LED light therapy and an O2 Infusion of Skinbreeze Eye Brightening serum will soften the appearance of fine lines and wrinkles, reducing eye fatigue and leaving eyes looking brighter and more alert. 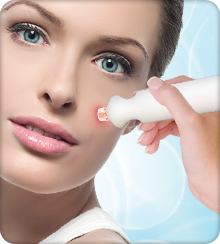 Orbital Microdermabrasion with LED light therapy minimises age spots and evens out skin tone. The O3 Ozone and an O2 Infusion of Skinbreeze Wrinkle Filler serum intensively nourish hands and tightens skin, leaving a more supple, younger looking appearance. O3 Ozone defines and sculpts the jawline to help improve the appearance of sagging jowls. Finished off with a refreshing and hydrating O2 Spray, to leave skin looking firm and toned. 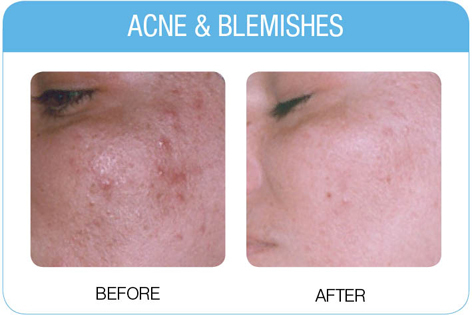 Reduces the appearance of pigmentation, uneven skin tone and discolouration. Orbital Microdermabrasion and LED light therapy combined with Skinbreeze Skin Brightening serum lightens and revitalises the complexion leaving skin with a healthy glow and radiant complexion. An intensive hydrating treatment consisting of Orbital Microdermabrasion, O3 Ozone, O2 Infusion and Hydro Mask. Replenishes moisture loss in dry and dehydrated skin and helps to soothe, calm and repair sun damage. Finished off with a refreshing O2 Soothing Spray to deeply nourish and pamper. Revitalises dull skin with Orbital Microdermabrasion, LED light therapy and O2 infusion that hydrates and rejuvenates the skin tissue. O3 Ozone helps to refine and tighten the skin encouraging the elimination of bacteria, resulting in a clearer and more youthful looking complexion. Tailored for the mouth area to plump and soften the appearance of fine lines and wrinkles around the lips. Orbital Microdermabrasion with LED light therapy, O3 Ozone and O2 Infusion of Skinbreeze Wrinkle filler serum boosts skin tissue and plumps lines and wrinkles resulting in natural, fuller looking lips. 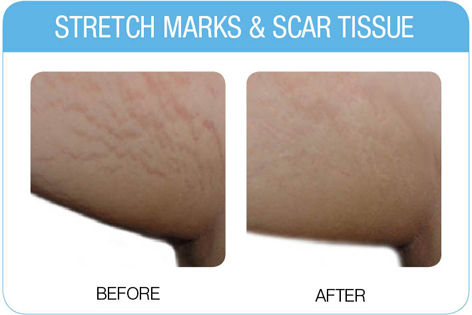 Designed to nourish the skin and stimulate tissue repair and healing, this treatment refines and softens the appearance of stretch marks and scar tissue. This includes Orbital Microdermabrasion with LED, O3 Ozone, O2 Infusion of Skinbreeze Rejuvenating Serum, finished off with O2 Soothing Spray and Skinbreeze Stretch Mark Cream applied to the treated area. An intensive treatment for the eye area designed to soften lines, reduce dark circles, eye bags and under eye puffiness. With Orbital Microdermabrasion and LED light therapy, O3 Ozone to tighten the skin around the eyes and a relaxing lymphatic drainage/massage over a refreshing Hydro Mask, this treatment leaves eyes looking brighter and more alert. Specifically targets lines and wrinkles using Orbital Microdermabrasion with LED light therapy and O3 Ozone to reduce wrinkle depth. Followed with an O2 Infusion of Skinbreeze Wrinkle Filler. 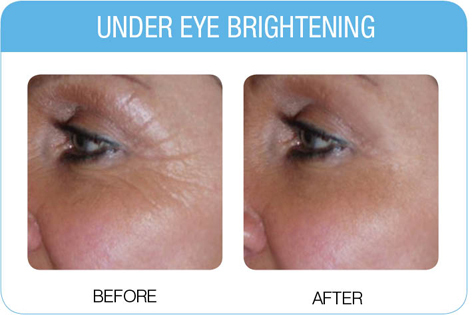 A painless, needle-free alternative to collagen injections and dermal fillers, with a natural looking result.